Born Kanchipuram, India, 1940. Honorary doctorate, Arizona World University Round Table. 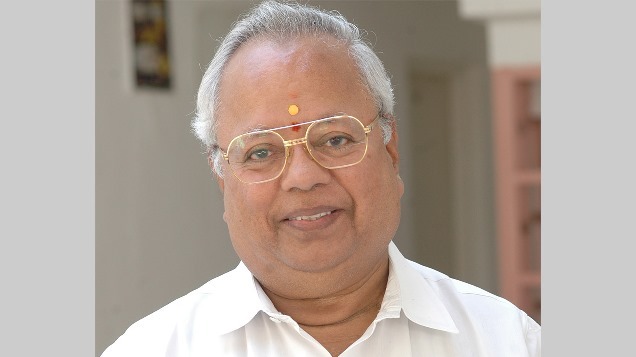 Nalli Kuppuswami Chetti, who inherited Nalli Silks from his father in 1958, describes the steady growth of India’s premier saree brand. Born in 1940 in Kanchipuram, Chetti was captivated by the family business from a young age. In the interview, he describes his father’s aptitude for innovation; he was the first to work with chemical engineers from Switzerland to produce chemical dyes, and he introduced clever marketing strategies, including designing sarees reflecting current events and films. Chetti points out that these innovative tactics were not at odds with the family’s rich family history in textiles, dating back to a group of weavers in the fifteenth century. Relying primarily on values that had been passed down for generations, Chetti learned to maintain a loyal customer base by ensuring quality above all else—even if it meant sacrificing a percentage of profit. He explains the array of factors that contributed to his father’s initial successes, including his refusal to adopt “power loom” automation, his willingness to help with the events for which the sarees would eventually be worn, and his refusal to accept loans from banks (relying instead on his own capital). Chetti largely attributes the company’s success to these sustained values and innovative techniques, and emphasizes that none of them have been compromised as a result of more recent expansion. "Interview with Dr. Nalli Kuppuswami Chetti, interviewed by V. G. Narayanan, June 28, 2014, Creating Emerging Markets Project, Baker Library Historical Collections, Harvard Business School, http://www.hbs.edu/creating-emerging-markets/."